This was a really fun dish! I love the idea of the serving cup being edible and not being the typical chip or bread. For the filling I used avocado guacamole but you could try out something new and fun like Edamame Guacamole or Garbanzo Guacamole. Preheat oven to 350ºF. Spray a 24 cup mini-muffin tray with cooking spray. Pulse black beans, flour, cumin, paprika, salt, and olive oil in a food processor until soft dough forms. 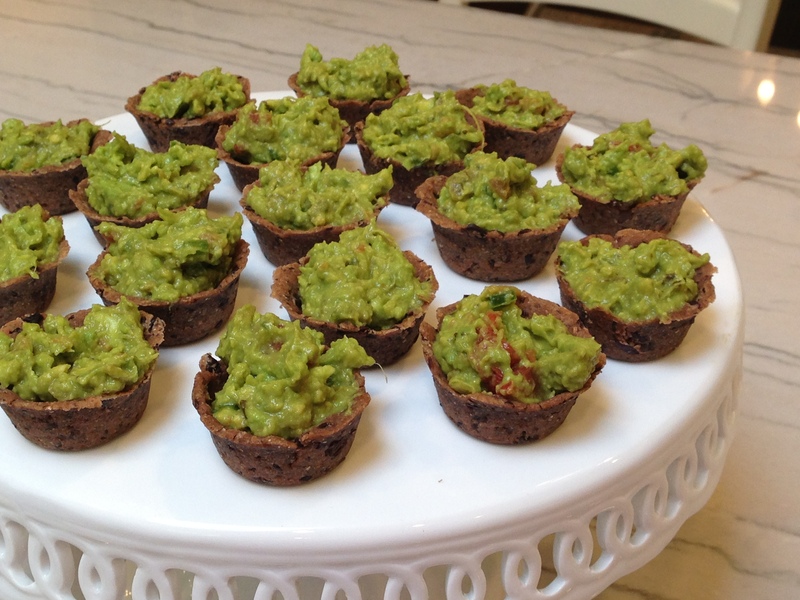 Place dough evenly into the 24 mini-muffin cups and form mini-cups by spreading dough up the sides of each cup. 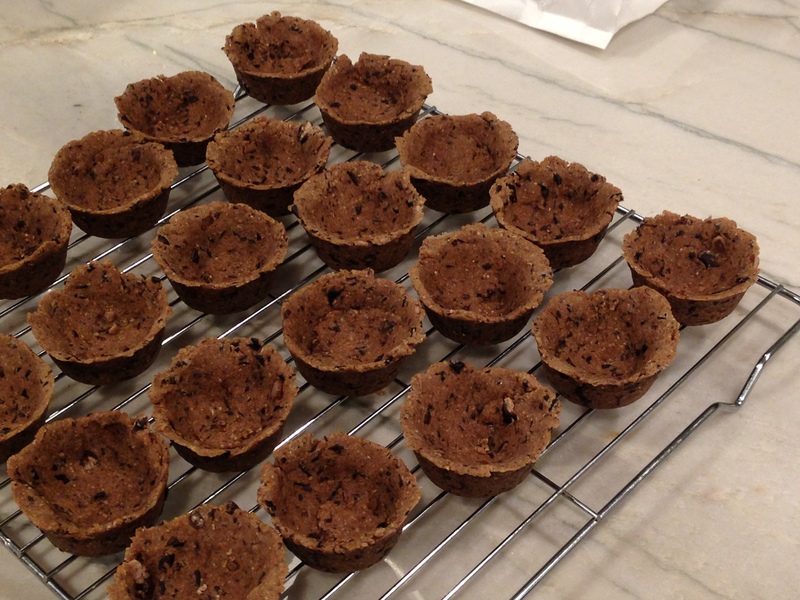 Bake the cups for 15 to 20 minutes at 350ºF or until set. 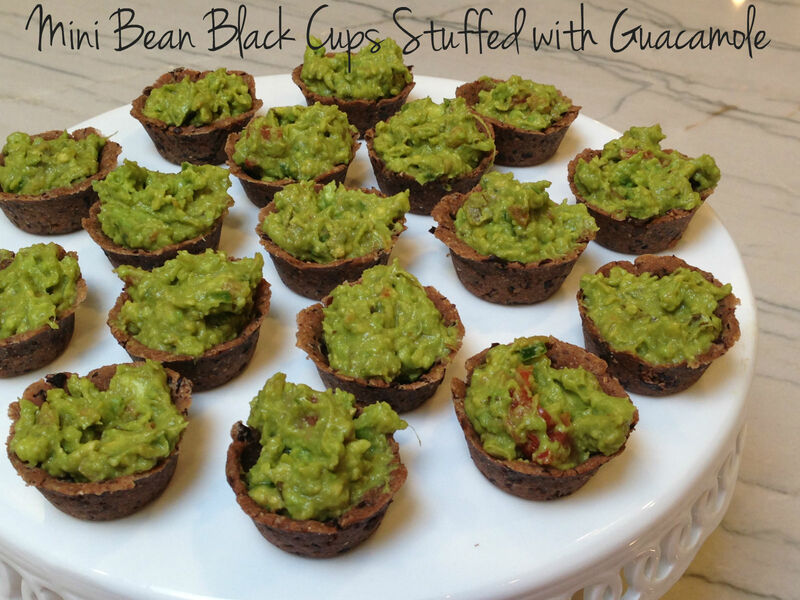 Cool completely, about 30 minutes, and fill cups evenly with guacamole.